Our organization, the American Association for Applied Linguistics (AAAL), embodies the globalization of knowledge. Despite its name, AAAL has the look and feel of an international organization; the scope of our intellectual activities and the membership profile reflect contributions from around the world. As of September 2015, 690 of the 1,978 members (35%) were international members who live and work outside the United States. This figure does not include many of the US-based members who are international students and scholars as well as recent immigrants to the United States. Some of the recent leaders of the organization have ties to Australia, Germany, Japan, Russia and Sri Lanka. Even our founding president, Wilga Rivers, was from Australia. Read More. In many ways, AAAL is actually an international association. This will come as no surprise to the one-third of our members who come from countries other than the US, or to our Canadian colleagues who joined with us to hold last year’s annual conference in Toronto (and the 2006 conference in Montreal and the 2000 conference in Vancouver). Read More. In October, the AAAL Executive Committee endorsed the document entitled “Guidelines for communicating rights to non-native speakers of English in Australia, England and Wales, and the USA”. The document was then passed to the Resolutions Committee and is now displayed at the AAAL Website in anticipation of the membership vote in April 2016. As a co-convenor (with Diana Eades) of the Communication of Rights Group that produced this document, I was asked to say a few words about the guidelines. Read More. Nicole Pettitt, co-chair of the Steering Committee of AAAL's Graduate Student Counsel (GSC), was in attendance at the October meeting of the Executive Committee (EC). This was the first time a graduate student member had been invited to attend an EC meeting, marking a new level of graduate student involvement, as well as affirming AAAL’s support for graduate student leadership. Read More. The Distinguished Scholarship and Service Award Committee, consisting of Carol Chapelle (Iowa State University), Christina Higgins (University of Hawaii), Joan Kelly Hall (chair, Penn State University), Aneta Pavlenko (ex officio, Temple University), and Thomas Ricento (University of Calgary), identified Dr. James P. Lantolf, Greer Professor in Language Acquisition and Applied Linguistics at the Pennsylvania State University, as the recipient of the 2016 award. Read More. This column that started in the previous issue features a member who received the Graduate Student Award and has continued to remain an active member of this organization. Following Laura Collins from Concordia University in Montreal, introduced in September, this issue delivers a message from Peter de Costa at Michigan State University. Read More. 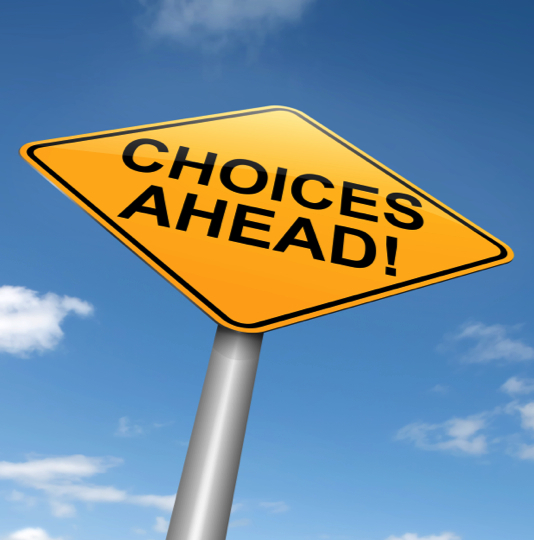 Be Prepared to Make Some Tough Choices! There’s a line in an old James Taylor song that says, “Seems like I was born with too many choices” – and that is exactly how conference-goers may feel next April in Orlando! Indeed, there may even be disappointments if two or more presentations you’d like to attend are scheduled at the same time. Read More. 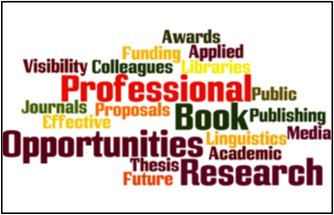 We are very excited about a feature of the 2016 AAAL Conference that we are calling “Professional Opportunities Sessions.” These are invited panel presentations that are not about research in applied linguistics. Rather, the panelists will address issues of possible interest with regard to professional development endeavors, such as publishing and applying for grants. Read More. Volume 35 (2015), Alison’s first as Editor, was unveiled at the 2015 AAAL conference in Toronto. ARAL now has new print size, a re-vamped cover design and an updated internal layout. The print copy was completely redesigned for an up-to-date and fresh new look, reflecting the innovative contents within. Read More. Our organization, the American Association for Applied Linguistics (AAAL), embodies the globalization of knowledge. Despite its name, AAAL has the look and feel of an international organization; the scope of our intellectual activities and the membership profile reflect contributions from around the world. As of September 2015, 690 of the 1,978 members (35%) were international members who live and work outside the United States. This figure does not include many of the US-based members who are international students and scholars as well as recent immigrants to the United States. Some of the recent leaders of the organization have ties to Australia, Germany, Japan, Russia and Sri Lanka. Even our founding president, Wilga Rivers, was from Australia. While AAAL has been benefiting from contributions by applied linguists from various parts of the world, it has been rather passive when it comes to engaging with applied linguistic organizations from other countries and regions. This is partly due to AAAL’s role as a national affiliate of the International Association of Applied Linguistics, or Association Internationale de la Linguistique Appliquée. Founded in 1964, AILA is an international association of national applied linguistic organizations representing various countries and regions around the world. AAAL’s role as an affiliate of AILA and its relation to other AILA member organizations have created a unique challenge for our organization: How do we serve our international membership and leverage our resources in addressing global language issues in ways that are consistent with its role as an AILA affiliate and sensitive to other national applied linguistic organizations? As a step toward answering this question, representatives from AAAL and AILA Executive Committees (ECs) met at AAAL 2015 in Toronto to discuss the possibility of AAAL forging relationships with organizations from other countries, and concluded that it not only appropriate but desirable for AAAL to form relationships with other organizations. The next question, then, is how. AAAL does not currently have a protocol for establishing relationships with other organizations. In order to explore ways of establishing mutually beneficial relationships, the AAAL EC will be holding a meeting—or a series of meetings—at AAAL 2016 in Orlando with representatives from several organizations that have recently expressed interest in working with AAAL. I hope these conversations will help us move toward productive collaborations that will benefit our members while allowing us to share our resources with the rest of the world. In many ways, AAAL is actually an international association. This will come as no surprise to the one-third of our members who come from countries other than the US, or to our Canadian colleagues who joined with us to hold last year’s annual conference in Toronto (and the 2006 conference in Montreal and the 2000 conference in Vancouver). AAAL is also a national affiliate of AILA, the Association Internationale de Linguistique Appliquée/International Association of Applied Linguistics, an international federation of national and regional associations of Applied Linguistics, founded in France in 1964. AILA holds a triennial World Congress, supports Research Networks, and oversees publication of the AILA Review and the AILA Applied Linguistics Series. As an affiliate of AILA, AAAL helps promote the exchange of scientific knowledge, stimulates international cooperation, and supports applied linguistics in developing countries. AAAL members receive a digital subscription to the AILA Review, discounted registration to AILA World Congresses, and representation on the AILA International Committee (AAAL members have regularly been elected to the AILA Executive Board as well). AAAL pays annual dues to AILA of around $14,000, about 3.5% of AAAL’s annual budget. (AILA affiliate dues are calculated by association size, adjusted for national GDP category.) In addition, AAAL pays the travel costs for its Secretary-Treasurer and up to two other AAAL members elected to the AILA Executive Board to participate in AILA’s annual EB/IC meetings. About half of AILA’s annual budget goes to administrative, legal, and banking costs, nearly a quarter of the budget pays for AILA publications (mainly the AILA Review). The AILA Executive Board (elected officers) and International Committee (representatives from each affiliate) meet annually, but AILA does not pay travel expenses for these meetings. The AILA World Congress is held in the summer of every third year and, as befits its name and function, its location moves around the globe. AAAL itself hosted the 2005 World Congress in Madison, Wisconsin. More recently, the World Congress has been held in Essen, Germany (2008), Beijing (2011), and Brisbane, Australia (2014). In 2017, the World Congress will return to the western hemisphere—to Rio de Janeiro—and then on to Sarajevo in 2020. About six years before each Congress, the AILA Executive Board issues a call for proposals to host the Congress; given the size and complexity of the undertaking, it typically receives only a few viable proposals. The affiliate selected to host a world congress is essentially an independent agent, responsible for all aspects of the congress: its program, its logistics, and its finances. Hosts of World Congresses necessarily make every effort to keep registration costs low. But local circumstances vary. For several unforeseen reasons, the 2014 World Congress had to be held in Brisbane’s Convention Center, which raised the registration fee significantly, although location, facilities, AV support and food provision were accordingly excellent. World Congress registration fees often include buffet lunches (and sometimes dinners), in order to help attendees to get these costs covered by their home institutions. The leadership of AAAL and AILA have been discussing ways to deepen the relationship between the two associations. At the 2016 AAAL conference, AILA Vice President Daniel Perrin will contribute to a workshop entitled “Increasing the visibility of applied linguistics: Communicating with the media and the general public.” AILA President (and AAAL member) Claire Kramsch will organize colloquia at the 2017 AAAL conference on “Research Cultures in Applied Linguistics.” In addition, AAAL’s Executive Committee has been discussing other ways AAAL can help fellow associations, including sharing our experience of association building and conference management. As AAAL becomes more international—in its membership and its outlook—it’s exciting to discover how much we can offer and learn from our colleagues around the world. In October, the AAAL Executive Committee endorsed the document entitled “Guidelines for communicating rights to non-native speakers of English in Australia, England and Wales, and the USA”. The document was then passed to the Resolutions Committee and is now displayed at the AAAL website in anticipation of the membership vote in April 2016. As a co-convenor (with Diana Eades) of the Communication of Rights Group that produced this document, I was asked to say a few words about the guidelines. The first question I usually get is: What is the purpose of the guidelines? Don’t suspects already have the right to an interpreter in court? Indeed, in 1978, President Carter signed the Court Interpreters Act of 1978 ensuring the right of any individual involved in a court proceeding to have a certified court interpreter. In August 2000, President Clinton’s Executive Order 13166 “Improving Access to Services for Persons with Limited English Proficiency” further stressed the importance of language access accommodations. These documents, however, do not cover the initial point of suspects’ contact with the law enforcement, namely police interrogation. To protect the suspects’ Fifth amendment right against self-incrimination, police are required to communicate the warnings known as Miranda rights that include the right to remain silent, the right to request a lawyer, and the right to have a lawyer provided for free. Extensive research on comprehension of the rights, collected in the Appendix to the Guidelines, shows that even native speakers of English do not always understand Miranda rights. The problems are even greater for non-native speakers of English who may be able to conduct basic transactions but do not understand legal terms, such as ‘waiver’, or complex sentences, such as “If you cannot afford a lawyer, one will be appointed for you before any questioning if you wish”. Yet many still say ‘yes’ in response to the question “Do you understand?” and sign the Miranda form out of fear or deference to authority. If, at the subsequent hearing, the defense manages to show that the suspect did not make a decision to waive their Miranda rights voluntarily, knowingly, and intelligently, the evidence produced during such interrogation may be suppressed by the judge. It was precisely at this kind of hearing that I conceived the idea to create these guidelines. The purpose of this pre-trial hearing was to establish whether a Kazakh national Dias Kadyrbayev, friend of the Boston Marathon bomber Dzhokhar Tsarnayev, understood his Miranda rights. I testified in the hearing as an expert witness and on the basis of linguistic evidence presented to me, concluded that as a speaker who relied on simple sentences, such as “I am feel bad” or “I did them very bad”, Dias did not have sufficient linguistic proficiency to understand his rights. Yet neither the judge nor the press understood my arguments or agreed with my conclusions (for a detailed discussion click here). Leaving court that day, I decided that there has to be another way to address this problem and shortly after contacted Diana Eades, the convenor of the group that authored the influential Guidelines for the Use of Language Analysis in Relation to Questions of National Origin in Refugee Cases. It turned out that Diana has also been very focused on the issue of communicating rights to non-native speakers in police interviews, following a 2014 Australian case in which she was one of four linguists giving expert evidence (click here for more detail). Next, Diana and I reached out to forensic linguists, psychologists, lawyers, and interpreters with expertise in communication of rights in Australia, England and Wales, and the USA. Several members of the group, including Susan Berk-Seligson, Diana Eades, Bill Eggington, Roger Shuy, Margaret van Naerssen, Keith Walters, and Ann Wennerstrom, are current or past members of AAAL. Drawing on the research and on our collective experience of working with non-native speakers of English in legal settings, our group articulated seven recommendations for how the police can better communicate rights to non-native speakers of English. These recommendations include development of standardized wording in plain English, standardized translations in other languages, access to an interpreter, and adoption of an “in-your-own-words” comprehension check in which suspects are asked to explain each right in their own words. If they have difficulties restating the rights in their own words in English, the interview should be terminated until a professional interpreter, with expertise in legal interpreting, is brought in. 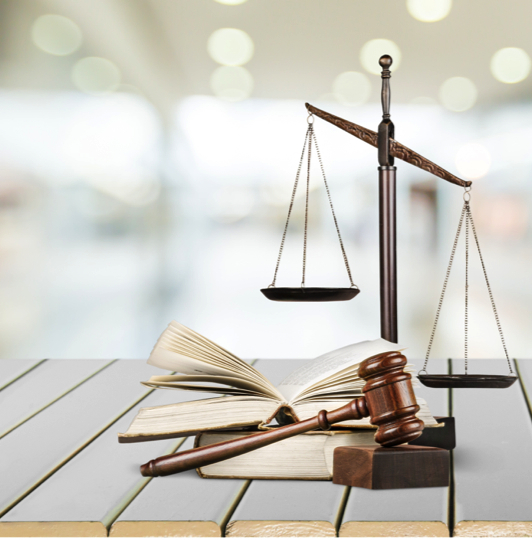 At present the guidelines are considered for endorsement by several professional associations and the National Association of Judiciary Interpreters and Translators (NAJIT) announced their release as groundbreaking on the NAJIT website. We sincerely hope that these recommendations will contribute to a better understanding of difficulties for non-native speakers of English in police interviews, and result in moves to better protect the rights of these suspects, and to afford them equal treatment under law. The guidelines are not copyrighted and we encourage you to read them and to share them freely with your students and colleagues. We will also be happy to discuss them in person with you in Orlando at the invited colloquium Applied Linguistics in the Courtroom that features several members of the group. Meanwhile, if you have any questions please do not hesitate to contact me at apavlenk@temple.edu. “My GSC co-chair, Daniel Ginsberg, describes the process of doing something new as a group as “building the bridge as we cross the river.” Being the first grad student to represent the GSC at the Executive Committee meeting felt a bit like that: much unknown at the outset, and much learned along the way. Two-and-a-half days of meetings are difficult to distill, so I will share two positive results of graduate student representation at the EC meeting, as well as two notes specifically for graduate students. Better communication between the GSC and the EC. In the past, graduate student leadership submitted a written report for each EC meeting. Now, with GSC participation at EC meetings, we are able to represent our work and graduate student questions to the Executive Committee in more nuanced and complete ways, not only during our slot on the agenda, but throughout the course of the meeting. This allows the graduate student and organizational leaders to listen to one another on a wide variety of issues and increases transparency between the two groups. Understanding the big picture. While observing the inner workings of our organization at the midyear meeting, I began to grasp the larger picture – as well as the values and concerns that drive the mission and ongoing decision-making of our EC. For example, while all boards are charged with the stewardship of material and human resources, at the EC meeting I witnessed our leadership’s careful and thoughtful attention to both human and organizational relationships as they attend to this work. These insights have been invaluable as my co-chair Daniel and I go about the work of serving graduate students and leading the GSC’s Steering Committee in ways thatreflect those same values and concerns. Finally, two messages especially for our grad students. One, the EC’s mid-year meeting takes place at the hotel where the next year’s conference will be held, in this case, the Hilton Orlando, so I had a chance to scout the conference site. I posted some pictures on our Facebook page and staked out areas grads have expressed interest in: conference hotel digs, pools, gym, meeting spaces, restaurants, airport transportation, public transportation, and the neighborhood surrounding the hotel. Stay tuned for Facebook updates on these as the conference nears. Second, several opportunities for continued graduate student involvement in AAAL arose at the EC meeting, and continue to arise. Keep your eyes peeled for calls for service via Facebook (facebook.com/AAALGrad) and Twitter (@aaalgrad). Image: AAAL Executive Committee at the October 2015 meeting. Pictured L to R: Sarah Berke (AAAL Managing Director); Aneta Pavlenko; Lucy Pickering; Junko Mori; Jeff Connor-Linton; Tim McNamara; Scott Jarvis; Nicole Pettitt; (not pictured, our photographer: AAAL President Paul Kei Matsuda). The Distinguished Scholarship and Service Award Committee, consisting of Carol Chapelle (Iowa State University), Christina Higgins (University of Hawaii), Joan Kelly Hall (chair, Penn State University), Aneta Pavlenko (ex officio, Temple University), and Thomas Ricento (University of Calgary), identified Dr. James P. Lantolf, Greer Professor in Language Acquisition and Applied Linguistics at the Pennsylvania State University, as the recipient of the 2016 award. When the term sociocultural theory comes up in reference to applied linguistics, the first name that comes to mind for many of us is Jim Lantolf. 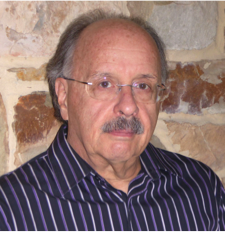 Dr. Lantolf’s ability to bring Vygotskyian theories of learning (dating back to publications in the mid-1980s) into SLA theory and research has influenced multiple generations of researchers, including those he supervised as doctoral students, many of whom have gone on to major careers. Dr. Lantolf’s contribution to knowledge in the field of applied linguistics is impressive for the number of publications, the impact of those publications, and the scope of his work, which includes research and publications that are truly applied in nature. 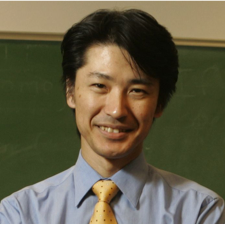 His most recent contributions include co-authored books that relate research on SLA to pedagogical practices, including a very practical guide for teachers on the implementation of Dynamic Assessment in the language classroom. His work (with Matt Poehner, especially) on dynamic assessment is groundbreaking and will continue to revolutionize the ways that language learners’ abilities are tested. Indeed, their 2014 book, Sociocultural Theory and the Pedagogical Imperative in L2 Education (Routledge), just received the 2015 Modern Language Association Mildenberger Prize for outstanding publication in language, culture and literacy with strong applications to language teaching. The award will be presented to Dr. Lantolf at our annual conference next spring. This column that started in the previous issue features a member who received the Graduate Student Award and has continued to remain an active member of this organization. Following Laura Collins from Concordia University in Montreal, introduced in September, this issue delivers a message from Peter de Costa at Michigan State University. “My first AAAL conference was in 2004, when I was getting ready to start my doctoral program in SLA at the University of Wisconsin-Madison. Returning to Portland in 2014, I was gratified to see how my professional network had grown in the interim decade; having attended every AAAL conference except for the one in 2008, when I was in Singapore to collect my dissertation data, the conference has become the ultimate one-stop event for me to keep abreast with latest developments in the field, make future academic plans, and catch up with my former professors, colleagues and students. The 2013 conference brought together fellow applied linguists who came together to celebrate the life of my former colleague, the late Leo van Lier. Kathi Bailey and I were grateful to the AAAL Executive Committee for allowing us to organize his memorial. I distinctly remember Christopher Candlin, Jim Lantolf, Alastair Pennycook, and Steven Thorne regaling colorful moments that they had shared with Leo. Indeed, while we reminisced about conferences past, I reflected on the 2010 conference in Atlanta, the year that I was honored with the AAAL Graduate Student Award. On the market at the time, I remember Leo, who was a member of my search committee at the Monterey Institute of International Studies (MIIS), attending my presentation. As I look back, I remain convinced that being the Award recipient (one of six) that year helped me secure my first academic job at MIIS and my current position at Michigan State University. In 2011, I made it a point to contribute to the FFAL initiative in order to give back to an organization that has played a pivotal role in raising my visibility in the field and giving me ample opportunities to be mentored. For example, working with Suresh Canagarajah to organize my first colloquium in 2012 enabled me to bring together like-minded scholars who were interested in skilled migration. And this past year, I was able to extend the prospect of mentorship to my own former student, Dominik Wolff, through co-organizing a colloquium on teacher identity with him. At the same time, however, I was also being mentored by another senior scholar, Bonny Norton, who served as our colloquium discussant. There’s a line in an old James Taylor song that says, “Seems like I was born with too many choices” – and that is exactly how conference-goers may feel next April in Orlando! Indeed, there may even be disappointments if two or more presentations you’d like to attend are scheduled at the same time. Why does this busy schedule happen? There are over 20 rooms reserved for presentations at the beautiful Hilton Orlando Hotel, and there are ten thirty-minute time slots for presentations per room each day, depending on whether the events are colloquia, papers, or roundtables. There will also be six different sessions devoted to poster presentations – one on Saturday afternoon (April 9), one in the morning and one in the afternoon of both Sunday and Monday (April 10 and 11), and one on Tuesday morning (April 12). The posters will be available for viewing for three hours, and the poster presenters will be present to explain their work during the longer coffee breaks. There are several strategies for choosing among the plethora of interesting presentations running simultaneously. Some conference-goers choose to focus on a particular topic – e.g., if you are working on a research project, you may wish to attend sessions that are closely related to your research. Or if you are teaching and find you must prepare for a new course, you could focus on sessions related to that course. On the other hand, you may have an interest in a particular presenter or group of presenters, such as the sociocultural theorists. You will be able to search the program for presenters’ names. Another approach is to get a broad overview of the field by attending sessions dealing with a wide range of topics. We strongly suggest that you pace yourself and plan to have some fun as well. In addition to all the AAAL sessions you can attend, the Hilton Orlando Hotel has a beautiful outdoor pool, and in April the average temperatures in Orlando are between the low 60’s and the mid-80’s Fahrenheit, or between 16 and 30 degrees Celsius. There is also a water attraction called “The Lazy River,” in which hotel guests can enjoy “tubing” – i.e., drifting along in an inner-tube. The hotel gymnasium is open 24 hours. You can click here to learn more about the amenities at the hotel. All in all, the 2016 AAAL Conference promise to be both academically and professionally enriching, and – if you pace your and plan well – it can be relaxing and fun too! We look forward to seeing you in sunny Orlando. We are very excited about a feature of the 2016 AAAL Conference that we are calling “Professional Opportunities Sessions.” These are invited panel presentations that are not about research in applied linguistics. Rather, the panelists will address issues of possible interest with regard to professional development endeavors, such as publishing and applying for grants. More information about these panel presentations will be posted on the AAAL website in the weeks ahead. The Professional Opportunities Sessions will be scheduled during the noon hour so they don’t conflict with any of the academic sessions. There will be approximately 15 to 20 minutes after the morning plenaries when conference goers can purchase a quick and convenient lunch at “The Marketplace” in the hotel lobby area before the Professional Opportunities Sessions start. Participation in these particular sessions is free to anyone registered for the conference. From Alison Mackey, Editor-in-Chief of ARAL; Kendall King, ARAL Editorial Board member and AAAL Liaison; and Melissa Good, Commissioning Editor for Linguistics Journals, Cambridge University Press. Volume 35 (2015), Alison’s first as Editor, was unveiled at the 2015 AAAL conference in Toronto. ARALnow has new print size, a re-vamped cover design and an updated internal layout. The print copy was completely redesigned for an up-to-date and fresh new look, reflecting the innovative contents within. ARAL’s theme for 2016 is Task-based Language Teaching and Learning, and as is the norm, includes contributions from field-leading scholars writing about a wide range of cutting-edge research perspectives on this topic. Members can look forward to papers by Pauline Foster & Jill Wigglesworth; Roger Gilabert Guerrero, Rosa Manchón & Olena Vasylets; Shaofeng Li & Rod Ellis; Michael Long; John Norris; Jenefer Philp; Luke Plonsky; Andrea Revesz; Peter Skehan; Kris Van Den Branden; and Nicole Ziegler. Members are likely well aware that AAAL membership includes online access to ARAL content from 1999 to the current issue. AAAL members can also purchase the print versions from Cambridge University Press for a special rate. Please click here to order. If you have any questions, please contact Melissa Good at mgood@cambridge.org or AAAL at sarah@aaal.org.